Home Technology Accessories Apple Watch Series 4 leaks out too! Yes yes, it’s not just the iPhone XS that was leaked out recently. 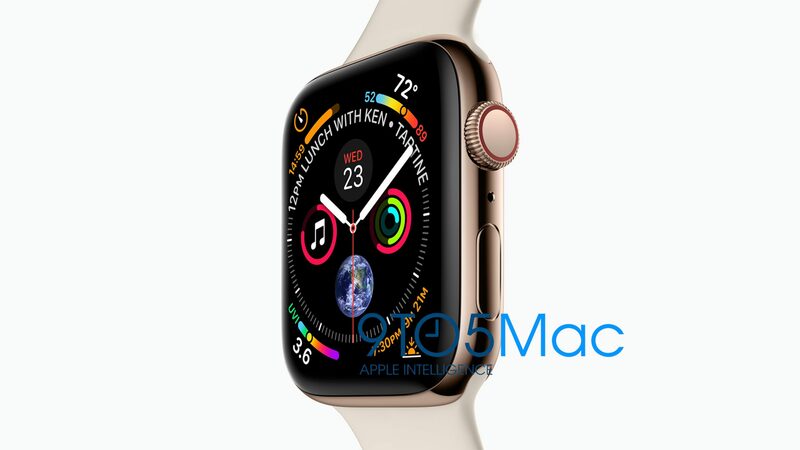 The all-new Apple Watch Series 4 has leaked out too and this time the display of the watch has been upgraded after years of having an almost the same design.. The display is 15% bigger compared to the previous generation and yes, Apple has achieved to have a thinner bezel this time on the Apple Watch Series 4. The photo also shows that there is a new watchface that shows the different information including the weather and the UV. There’s a small hole too in between the digital crown and the button which suggests there’s an additional microphone for better noise cancelling. Previous articleiPhone XS Render Leaks Out!